Roy de Souza, a thought leader in advertising technology, founded ZEDO in Silicon Valley in the early Internet growth period of 1999. It is now the 3rd largest global Internet advertising technology firm and a pioneer in Internet advertising technologies and platforms. Roy believes that Internet advertising, as it offers better formats and simpler ways to buy, will inevitably outstrip TV advertising. 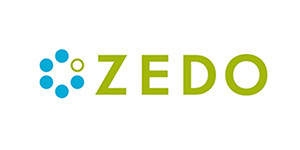 ZEDO focuses on serving high impact format ads for premium publishers and offers a “direct-pipe” platform to connect directly to brand advertising agencies that buy these formats. The company has scaled up to several hundred people with offices in San Francisco, New York, Phoenix, London, St. Petersburg (Russia), Mumbai, Goa, Pune and New Delhi. Widely regarded as an expert on online advertising, Roy is a well-known figure in the online advertising industry on the West Coast (USA) and a frequent speaker at ad:tech and other industry conferences in the US, India and around the world.